The fall migration of birds is in full swing now. Not wanting to miss any of it, I am eager to leave the house with our binoculars and camera to see what I can see and photograph. 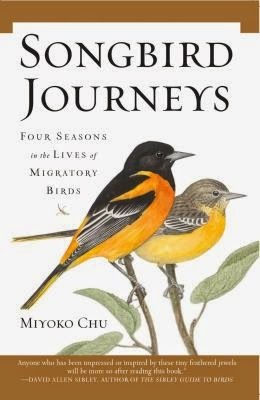 But I do want to stop for a moment to say I just read a great book on bird migration, Songbird Journeys: Four Seasons in the Lives of Migratory Birds by Miyoko Chu. The author tells fascinating stories about little birds who take incredible journeys and about some of the people who follow them. She also identifies some of the best locations for witnessing the glories of the migrations. More places go on my travel list. Later. I am back from the Morton Arboretum. I saw lots of birds today, but they were mostly resident birds instead of migrants. Many of the birds who need to go south have already started doing so. 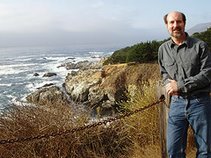 In Songbird Journeys, the author tells how dates and routes of migrations can vary from year to year, but the result is often the same - birds arriving in the same locations, maybe even the same nests. This may be a year for early cold. Birds can sense this, but their decision-making as to when to migrate is not perfect. Sometimes great numbers of birds die in storms. I enjoyed Chu's stories about bird researchers. In 1965, Richard Graber from the Illinois Natural History Survey tried to follow a gray-cheeked thrush on which he had tied a tiny radio transmitter. Small birds need tiny transmitters to keep from weighing them down. At dusk when the bird rose for its nighttime journey, Graber took off from the Urbana, Illinois airport to follow. Little did he know that he'd get as far as Lake Superior before losing the bird a little before dawn. The bird burned a couple of ounces of body fat. Graber had to land once and refuel his plane. Another story involved a researcher who banded a warbler near Lake Erie in late summer. When he travelled to the Dominican Republic to study warbler, the first bird he caught in his net was the same bird. Chu emphasizes how much there is still to learn about bird migrations. Where some of the birds spend winters has not yet been discovered, which worries conservationists. The loss of habitats in both North and South America is the major threat to the survival of songbirds. I am glad to have read Songbird Journeys. It would be great winter reading for many North American birders. Chu, Miyoko. Songbird Journeys: Four Seasons in the Lives of Migratory Birds. Walker & Company, 2006. 312p. 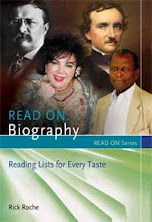 ISBN 9780802714688.